Arm yourself with this Hero's Edge Short Black Handle Dagger Foam Weapon! Perfect for that extra detail to your costume, this dagger is crafted with flexible and durable polyurethane material. 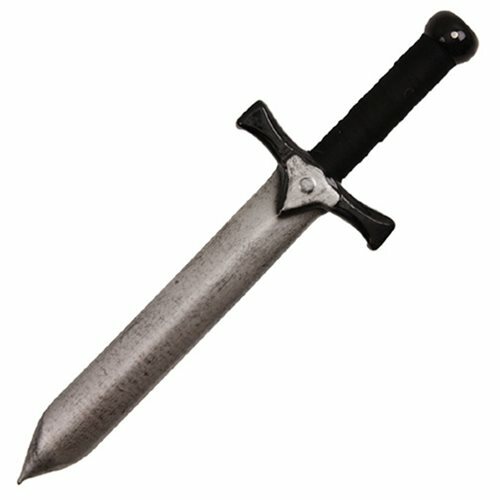 Complete your cosplay or roleplay with this Short Black Handle Dagger Foam Weapon. Dagger measures about 18-inches long. Ages 8 and up.